Antique 18ct diamond and pearl bangle. Product code: 1526 Categories: Sold Items, Sold Jewellery. 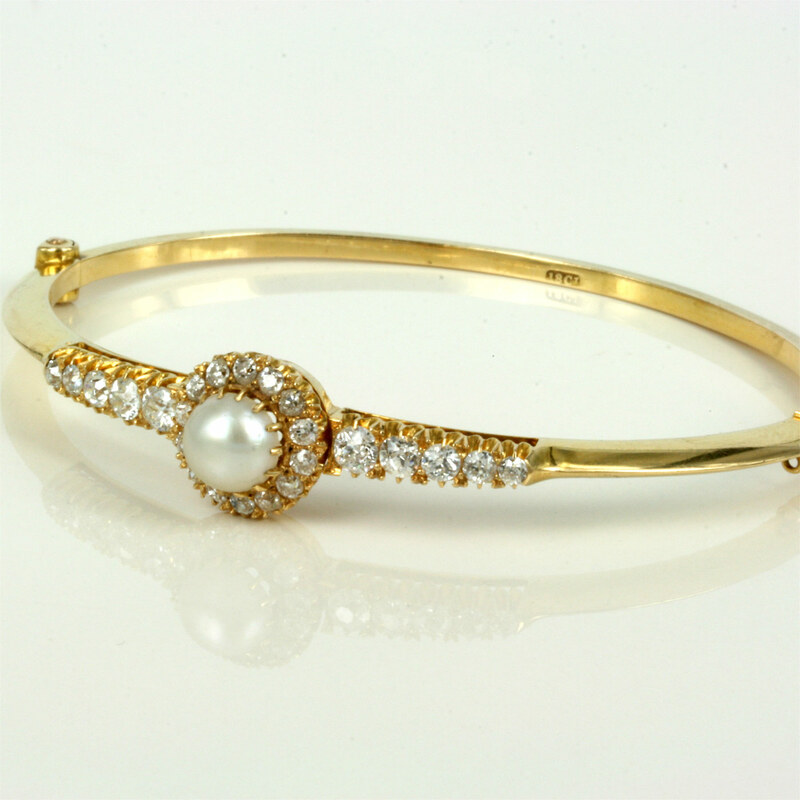 Here is a truly magnificent antique diamond and pearl bangle that sparkles so nice day or night. Made in 18ct yellow gold, it is set with 14 diamonds surrounding the pearl, with 10 more diamonds on the side. The diamonds total 1.84 carats, and compliment the pearl so nicely. Being hinged, it sits so nice and close to the skin, and will be admired every time that it is worn. Dating from the turn of the 20th Century, this is simply magnificent and spectacular.